Should Mom Who Abandoned Her Baby Get Custody? After leaving Myanmar with the help of Catholic Charities, Nunu Sung wound up living with cousins in Wheaton, Illinois. She became pregnant, and when the baby's father refused to help her, she decided to hide the pregnancy from her family and friends because she was afraid of how they'd react. When Joshua was born in June 2009, she abandoned him in a neighbor's backyard. The boy is now being cared for by foster parents who hope to adopt him, but Sung, who is currently serving a three-year prison sentence, says she wants custody. "The baby, who was left outside on the cold, hard ground, had a body temperature in the low 80s and was hypothermic. But for a dog, who was let out in the morning hours, this baby would have died." Joshua was put into state custody, and a civil attorney who's been appointed as the 2-year-old's guardian is trying to terminate Sung's parental rights to let his foster parents adopt him. 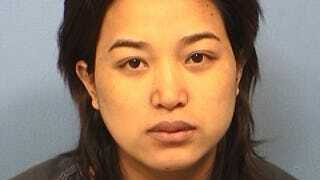 Complicating the case is a plea agreement prosecutors offered Sung. In October she pled guilty to obstruction of justice in exchange for prosecutors dropping the child endangerment charges and agreeing to not try to terminate her parental rights. Sung asked a judge to find prosecutors in contempt for going back not their agreement, but yesterday a judge denied her request, saying they may have been wrong to offer the deal, but are legally obligated to participate in the new proceedings. "She came here to escape the injustices of a corrupt government, and she ends up falling victim to the injustice of not being given the full benefit of her plea agreement. Her main priority always has been that her parental rights not be terminated." It certainly sounds like Sung was screwed over by the system, but at this point there's probably nothing she can do about it, particularly because she may be facing deportation. A lawyer representing the foster parents say they just want what's best for Joshua. Even if Sung argues there were mitigating circumstances that made her commit the crime, it seems highly unlikely that she'll be able to convince the court that she deserves to have custody of Joshua after she nearly killed him.